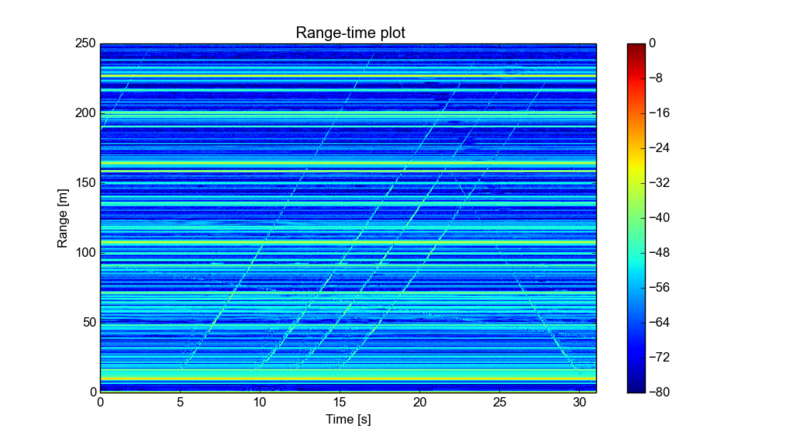 The above time-range plot is recorded with a single horn antenna so there is no angle information. Clutter is removed by subtracting the previous sweep from the current one leaving just the moving objects. Without the clutter reduction there are so many targets that it&apos;s hard to see anything.